Gwen’s belief is reflected in the mission, vision values and beliefs that create the strategic framework of Gwen, Inc. a company solely devoted to supporting mid level to executive level leaders on the leadership journey. During her 30-year leadership career, Gwen noticed a pattern among emerging and established leaders who quietly floundered while attempting to achieve business goals, often arriving at their positions as a result of technical ability or longevity, rather than their capacity to lead and manage teams. Their technical skills did not extend to strategic relationship building necessary to motivate, mobilize, and inspire employees. Gwen found leaders were not intentional about developing their own skills and were experiencing feelings of inadequacy, finding themselves at a loss where to turn for help. Through The Leadership Connection®: A Resource Centered on Great Leadership, a division of Gwen Inc., the company provides leadership education, professional consulting and facilitation, mentoring/coaching, and technical assistance in organizations, businesses, and public venues whose leaders are working to achieve their potential. Known as a leadership development expert and “thought leader,” Gwen is a contributor to the development of outstanding leaders throughout the country; she is sought after to deliver lectures and conference keynotes on her unique perspectives about the development of emerging and established leaders. 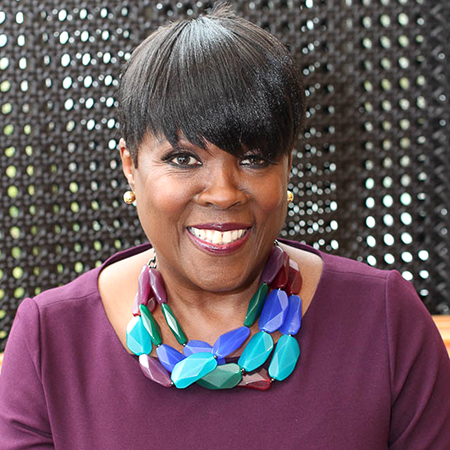 Gwen is also the founder of You Can’t Fail Inc., a nonprofit organization that provides strategically designed multicultural leadership development experiences for emerging and established women leaders. These experiences explore and place emphasis on the unique leadership journey of professional women of color and those who support them. Gwen, Inc. is a premier leadership development corporation which exists for the purpose of helping leaders achieve business goals by focusing on the competencies of Confidence, Competence, Courage and Calm. Gwen, Inc. will be a known contributor to the development of outstanding leaders throughout the country. Leadership is about being your authentic self. All effective leaders aspire to do good business that is ethical and good for their organization or company. Leaders must practice the art of rest, reflection, and rejuvenation.